Mrs. 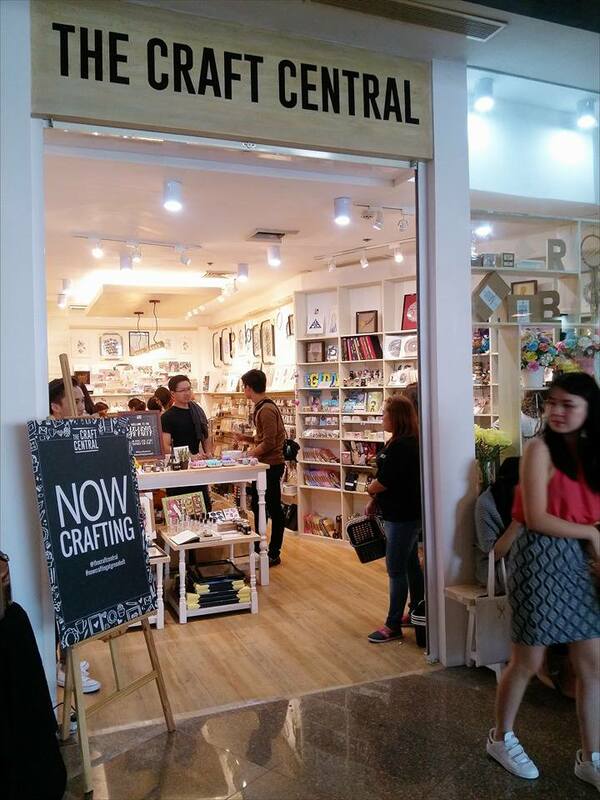 Wise: THE CRAFT CENTRAL IS NOW CRAFTING AT GREENBELT! THE CRAFT CENTRAL IS NOW CRAFTING AT GREENBELT! I am not a "serious" crafter but every once in a while, I find joy and excitement in creating things with my hands. So far... I tried cross stitching, candle making, watercolor and pastel painting. Am definitely not an expert... but I truly enjoy the process! Last Wednesday, September 21, I was invited to the exclusive PR Party of THE CRAFT CENTRAL in Greenbelt 5, Makati. What was once a virtual shop that inspired thousands of dreamers to create beautiful crafts, The Craft Central have finally opened their own physical store in Greenbelt 5, Makati. A step that was 2 years in the making, The Craft Central store will now serve as a heaven for goods made with passion by a number of talented craft partners and a space to hone skills through workshops. Aside from arts and crafts items... HEISTCLUB Titles are also available. Look what I found! #HeistClub Authors PH is a group of writer/authors that aims to uplift crime literature here in the Philippines. Last year, they wrote labels of crime and mischief, fear and suspicion, dark alleys and dark souls. With the help of Mina V. Esguerra, they produced 16 English crime fiction stories. As for the crafter in me... I enjoyed the afternoon doing my own stuff. Everyone's invited to celebrate the Craft Central's grand opening weekend happening this September 26 to October 2, where you can join craft stations, watch demos and bring home lots of freebies!